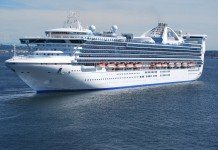 Golden Princess is mid-way through its second summer based in Melbourne and is showing no sign of leaving. 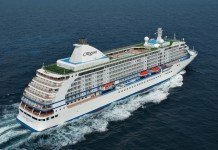 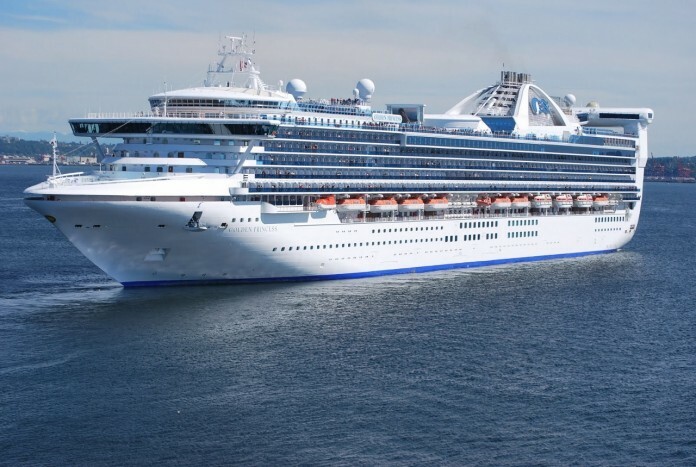 The arrival of Golden Princess towards the end of 2015 and its subsequent home porting in Melbourne was not just a glowing endorsement for Australia as a market so important for Princess Cruises that it was willing to base one of its largest ships in a market unproven to be able the ability to consistently fill so many cabins. 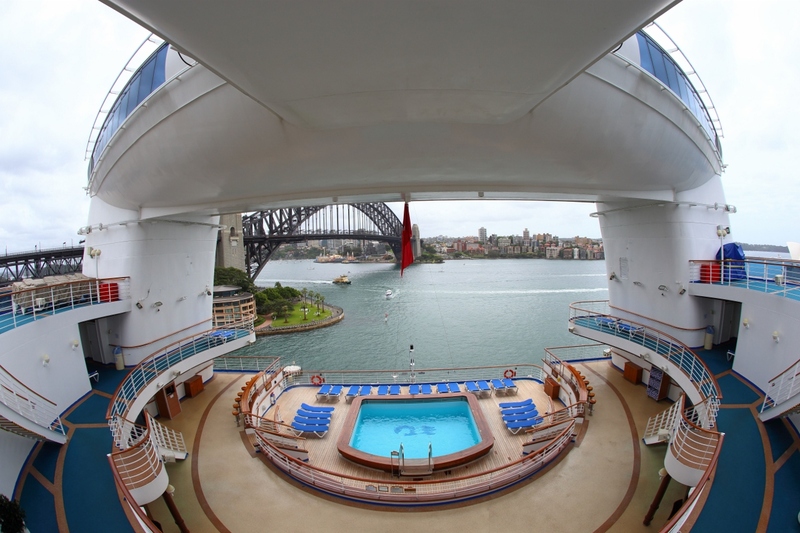 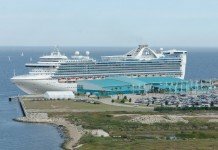 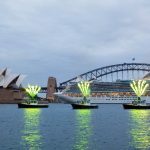 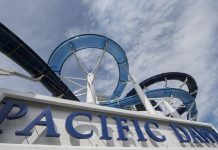 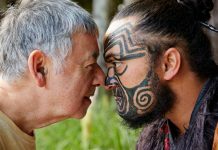 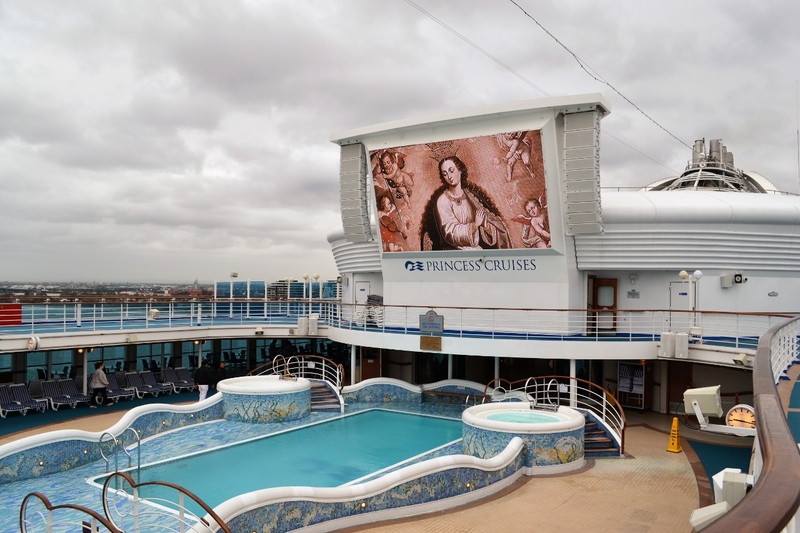 Well, fill them it did and Golden Princess left at the end of the season and promptly returned for a second dig at Australia’s second largest city late last year. 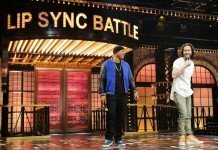 By all accounts, it is seeing similar levels of success this time around. 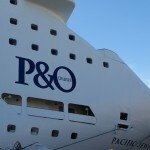 There is talk that this ship will move to Sydney in future years however there’s no doubt that Australians are capable of keeping ships of this size sailing full. 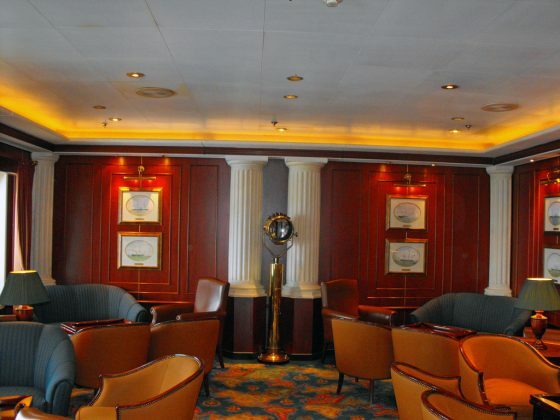 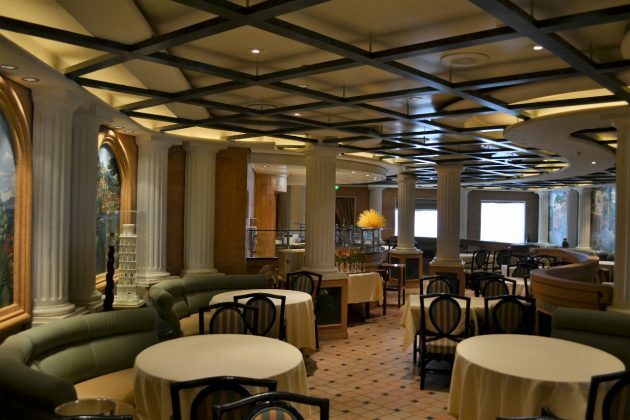 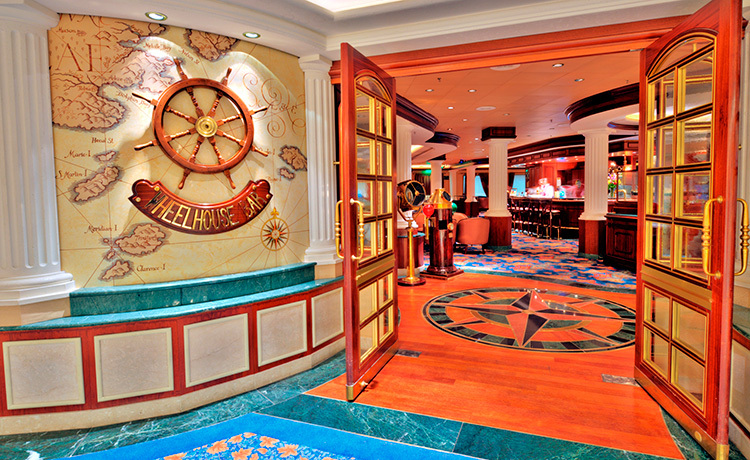 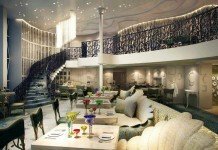 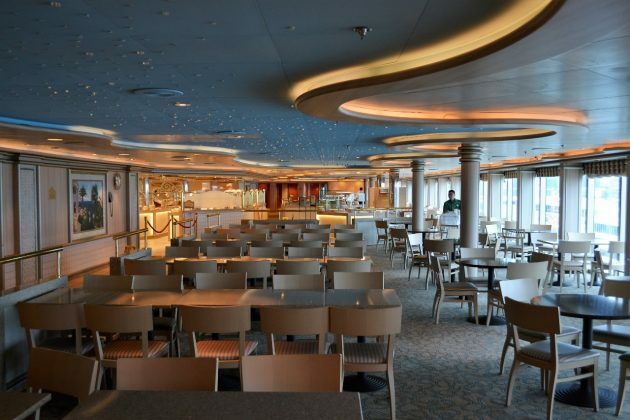 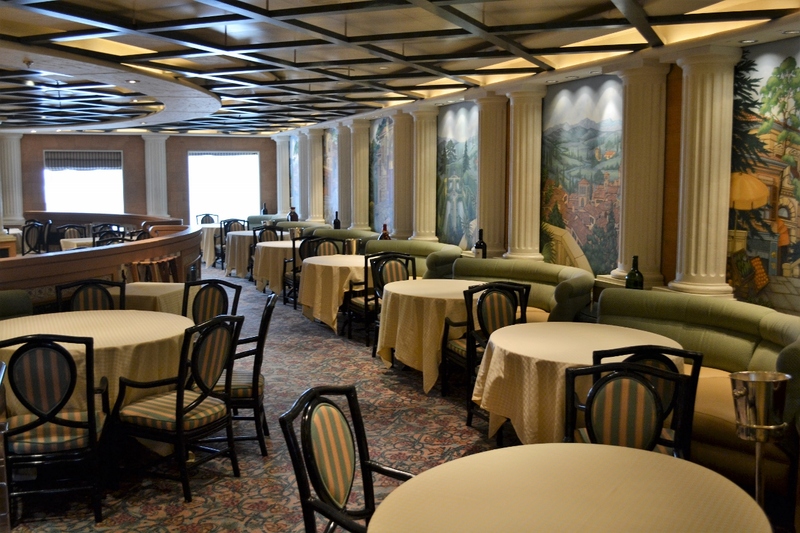 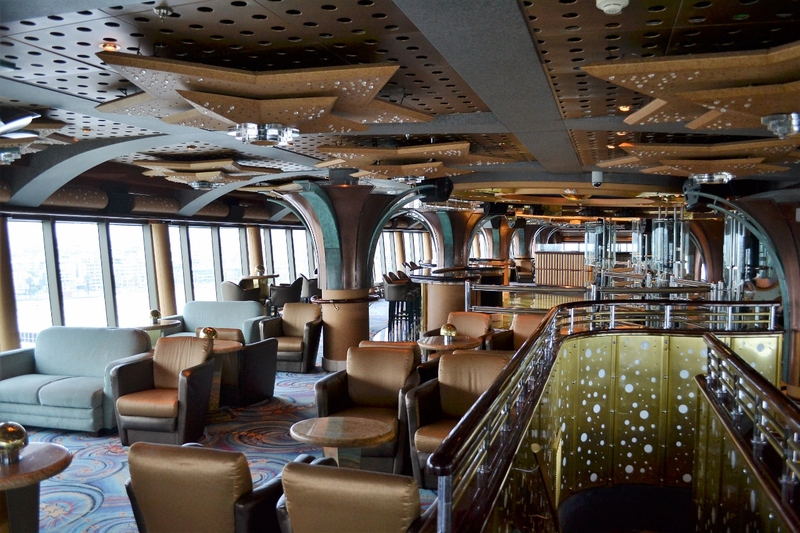 Dining follows the same state-of-the-art blueprint to which all Princess ships adhere. 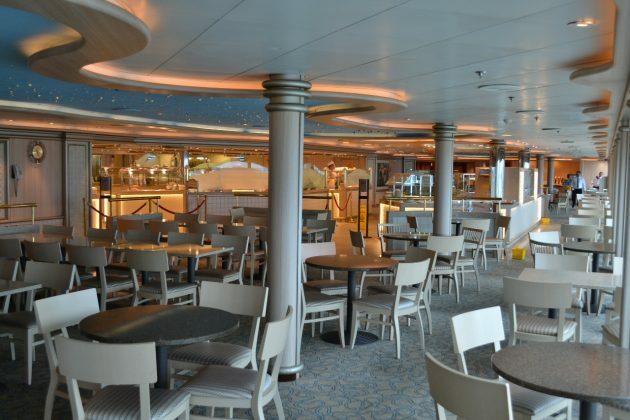 While not home to a SHARE by Curtis Stone outlet, the Aussie celebrity chef features prominently on Golden Princess, lending his weight in the form of heavy input into the Main Dining Room menu and numerous self-designed dishes. The ‘Crafted by Curtis Stone’ collection makes use of the freshest ingredients on the ship, with Stone working his magic across the meat and seafood stock to create some true masterpieces. 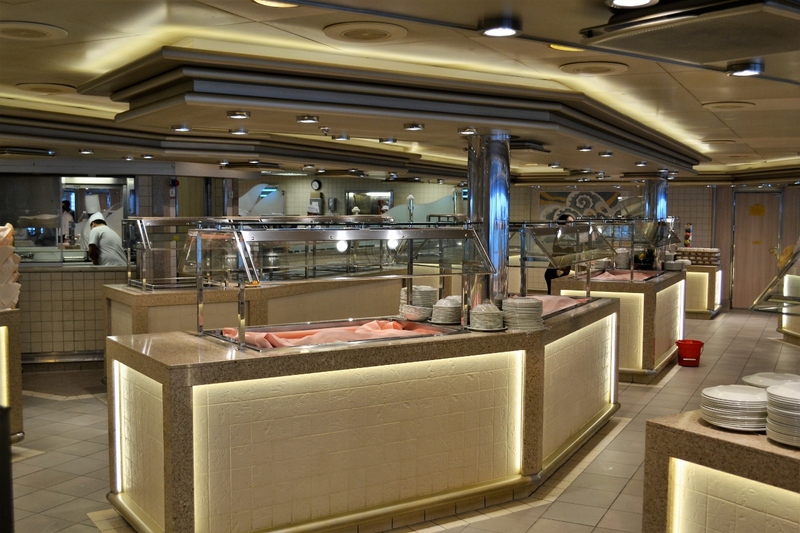 Specialty dining also reflects the latest in the Princess product, with Sabatini’s, Crown Grill and Crab Shack remaining consistently popular. 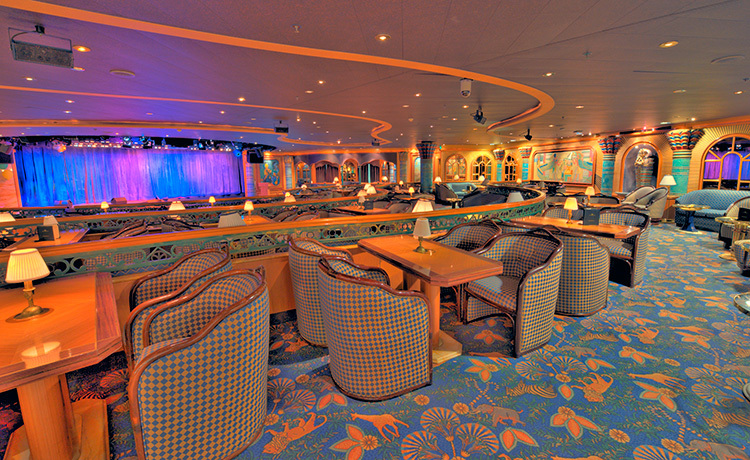 Multiple lounges and theatres play host to some amazing entertainment on a nightly basis, with others performing in the Vista Show Lounge and Explorers Lounge. 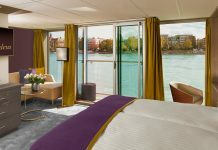 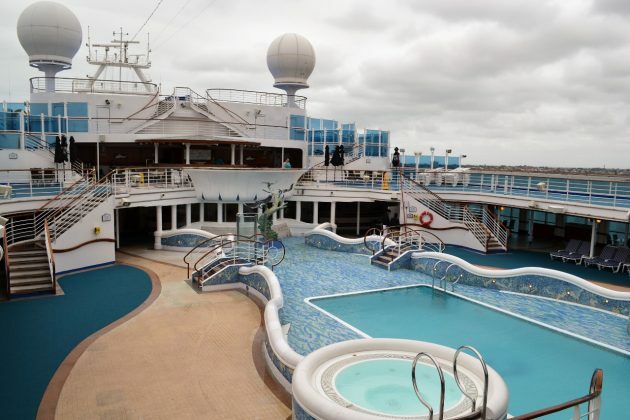 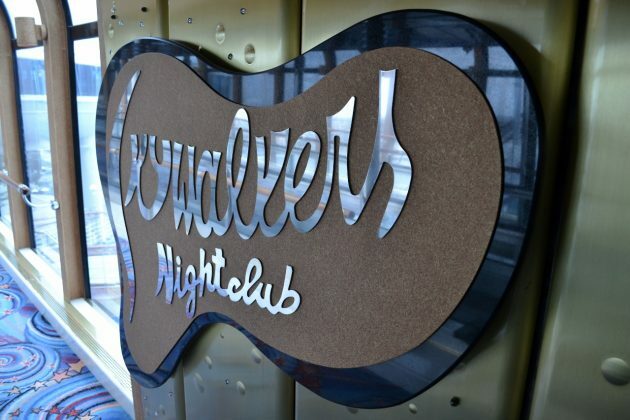 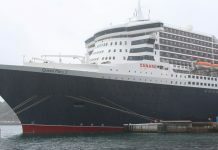 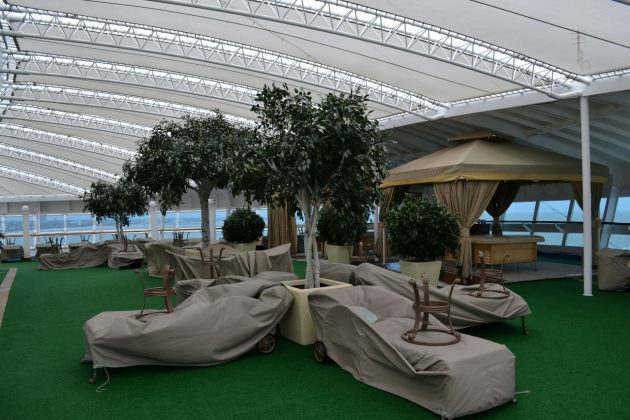 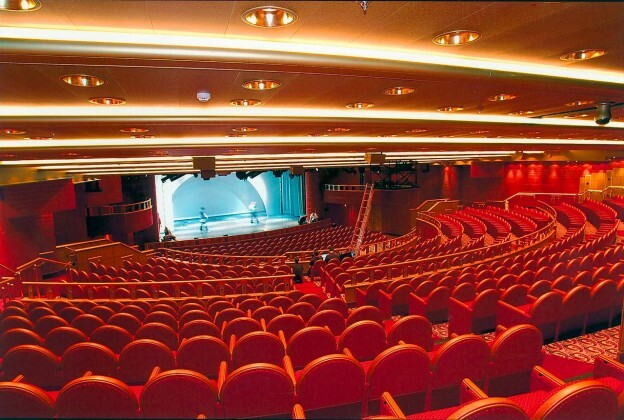 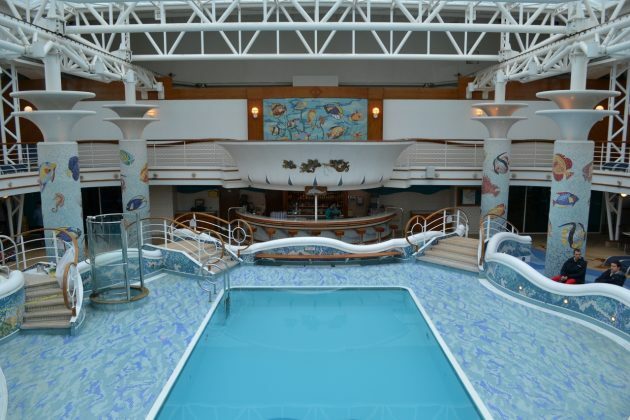 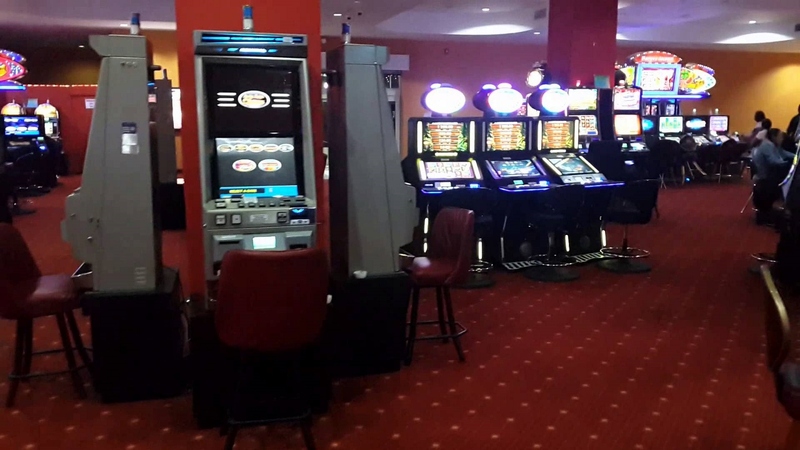 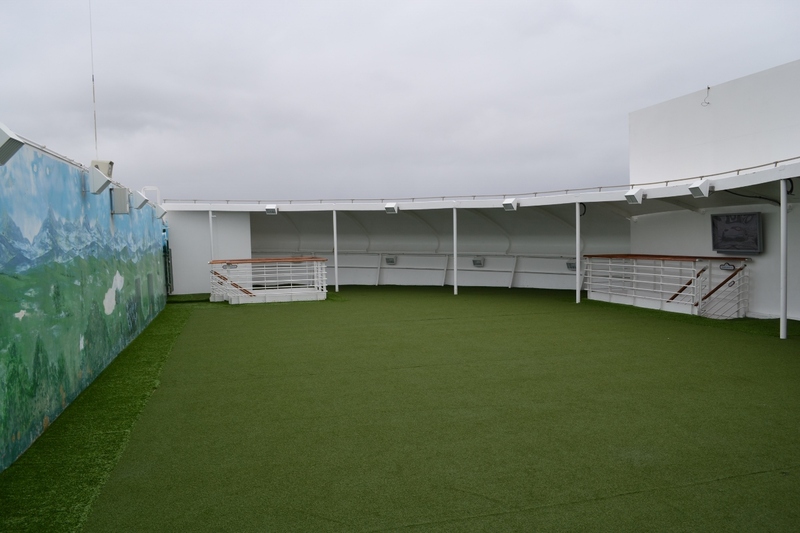 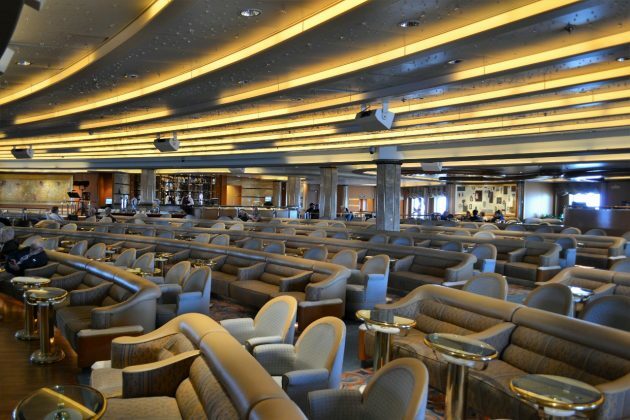 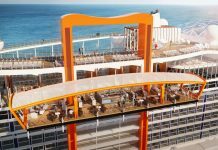 Perhaps the showpiece venue of the ship however is Skywalkers Nightclub, which is easily identified from outside the ship as it literally comprises the entire top rear end of the ship, overlooking the rear swimming pool and the ship’s wake. 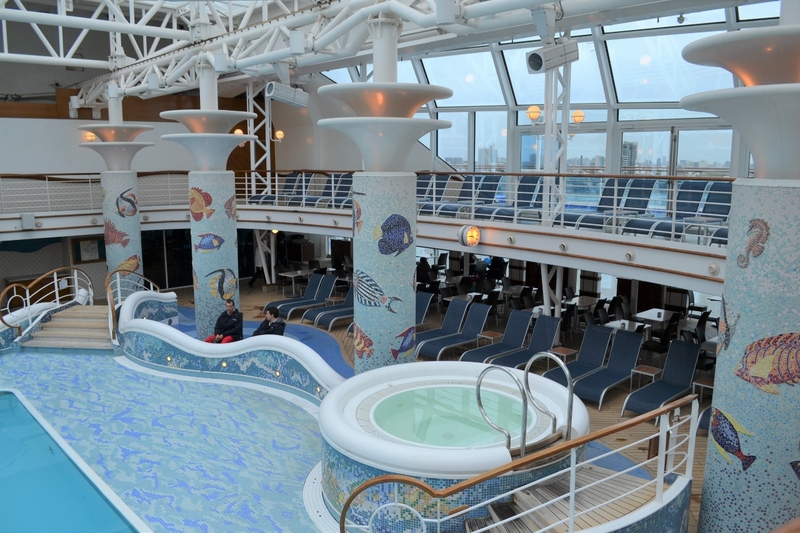 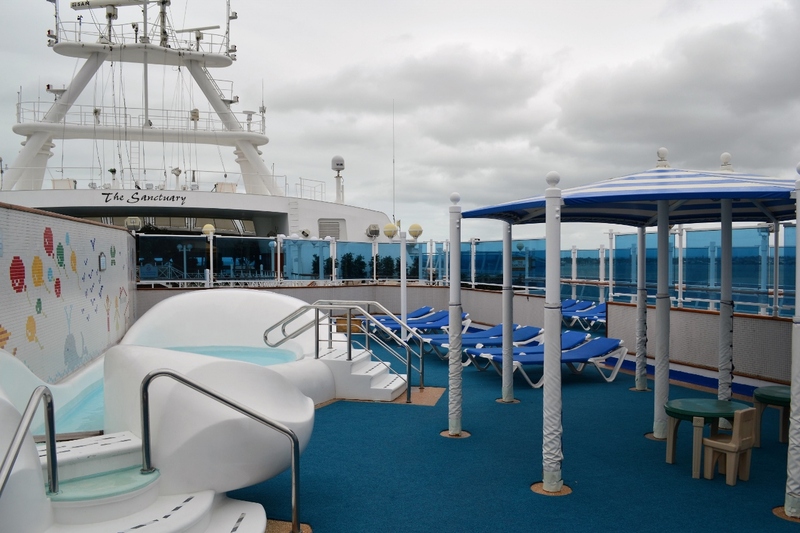 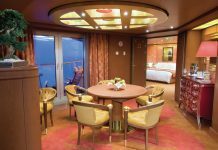 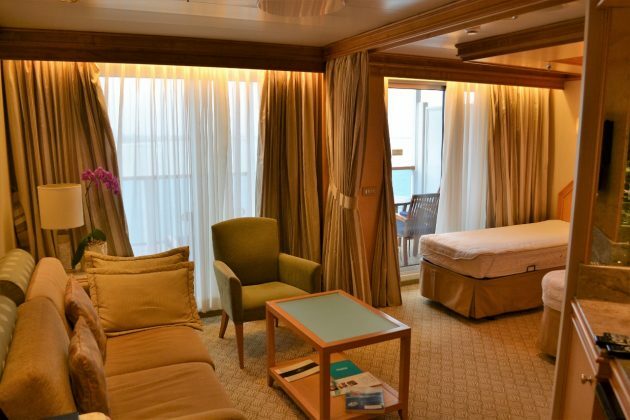 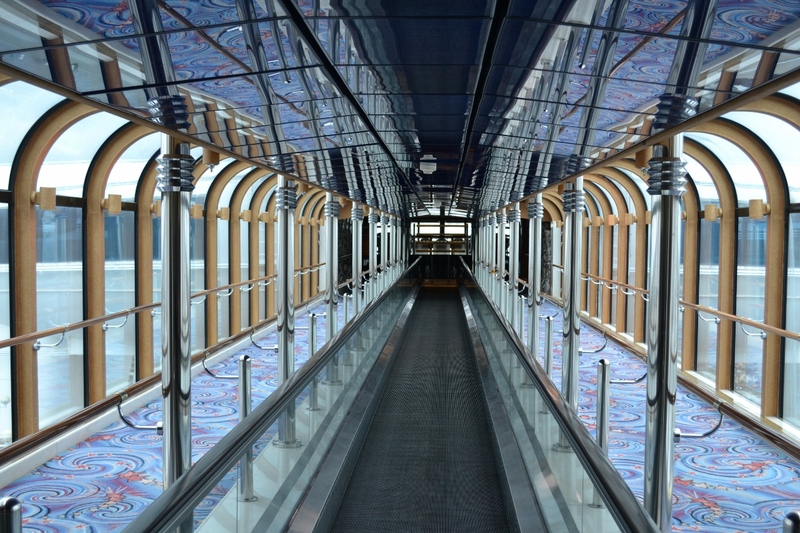 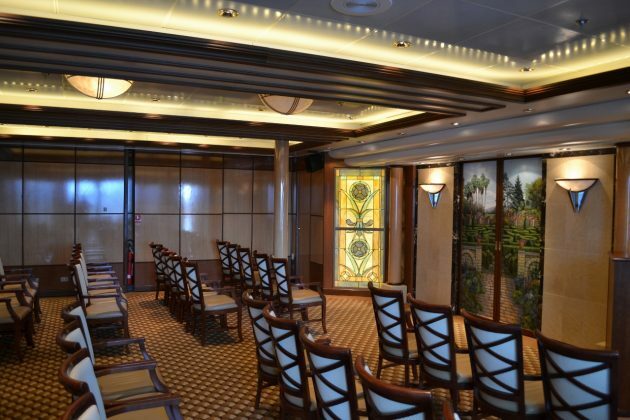 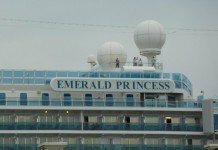 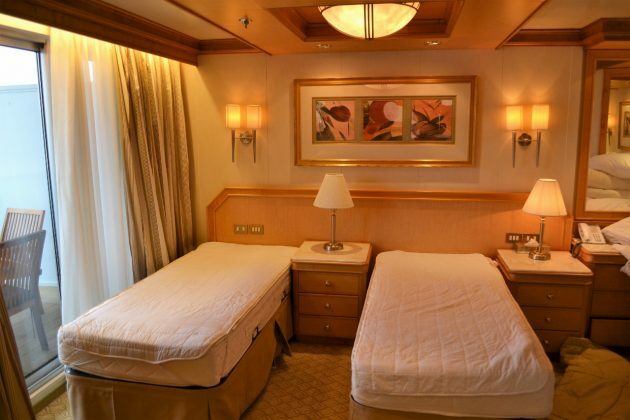 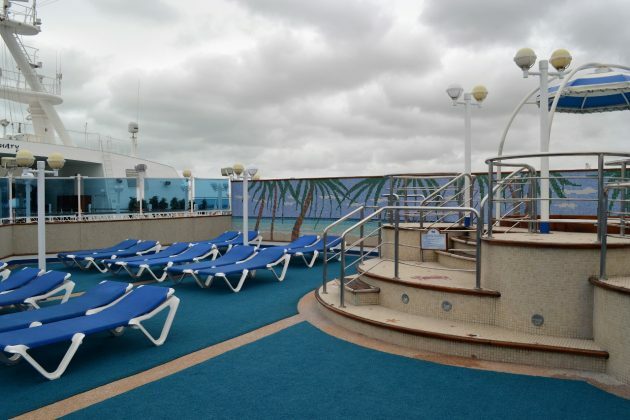 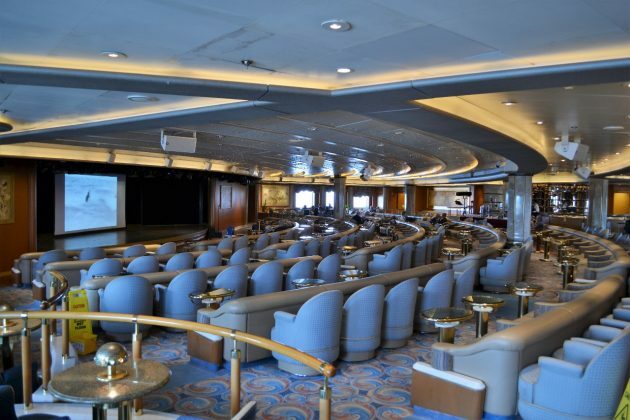 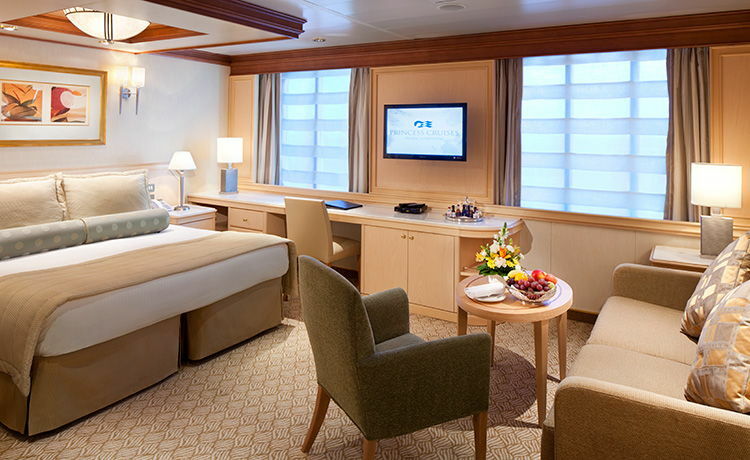 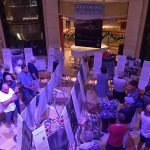 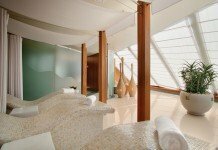 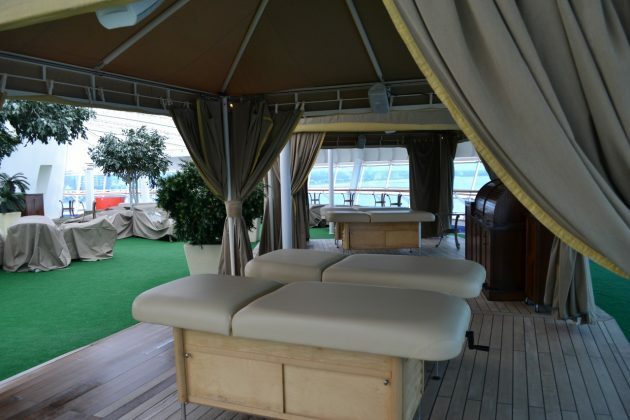 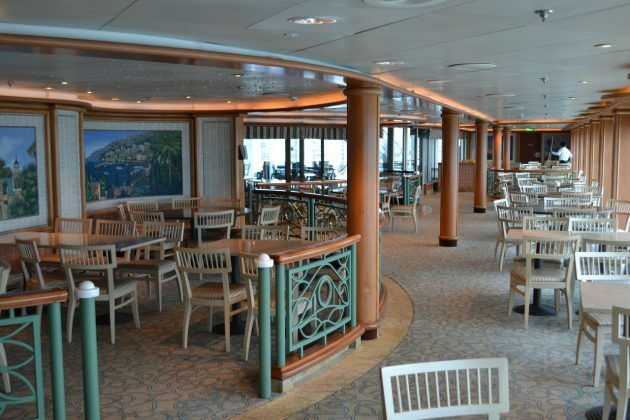 Come onboard Golden Princess for a look around. 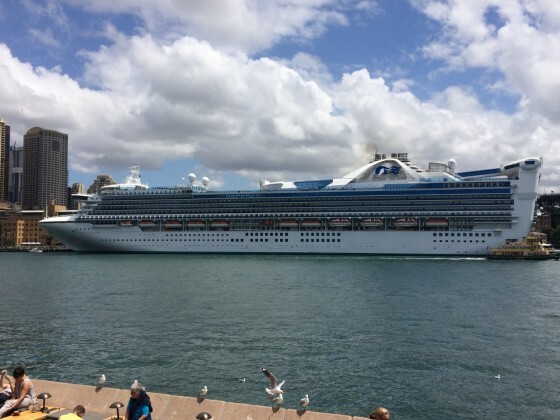 Golden Princess in Sydney Harbour on one of its scheduled visits. 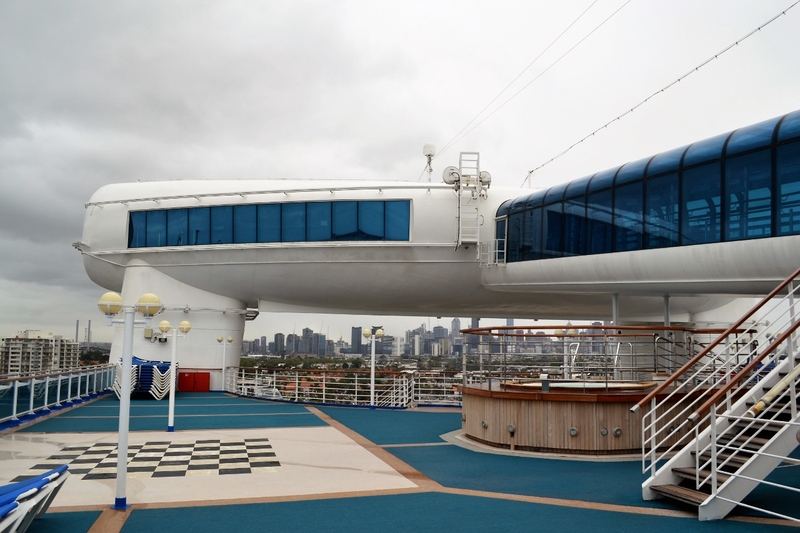 The nightclub sits high above the next deck below.